My day always begins the same way, I pop the kettle onto boil (tea is always on the agenda) and jump in the shower. I don't have flawless skin so getting it prepped in the mornings is key, the facial brush works 6 times better than manual exfoliation and leaves my skin super soft and prepped for the next step- operation make up! My foundation applies soooo much better when my skin has been nicely polished as I often get little patches of flaky skin and I'm cursed with large pores.. gah! In the evenings the facial brush is fantastic for getting rid of all that dirt, grime and make up residue... I like to apply my cleaner straight to my face before I get to work with the brush (however you can apply cleanser direct to the brush if that's your method of choice!) After a through cleanse my skin is ready for my nightly dose of serums and moisturisers. the brush is gentle enough to use morning and night, plus it's waterproof so you can bring it into the shower! 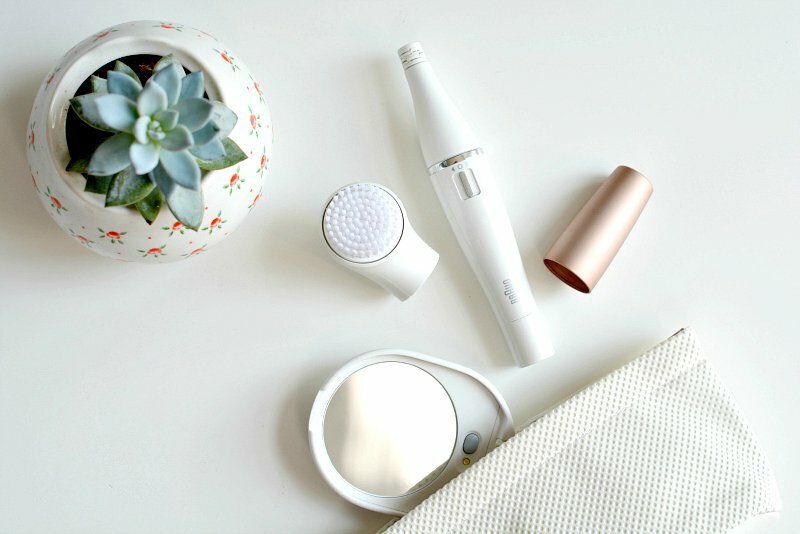 The epilator itself is really compact and perfect for tackling any problem areas on your face. It removes hairs 200x quicker than manual tweezing (sounds good to me) and catches hairs much shorter than waxing can. I really love this for keeping my brows tamed in particular.. I've used epilators oodles of times before and I find pulling the skin taught really helps the process and it leaves you hair free for up to 4 weeks.. hurrah! You may have seen that the mega babe that is Jessica Alba is the Braun beauty ambassador, she's involved in the #breakfree campaign which is all about encouraging each other to break free from self doubt. Their range of beauty tools works in the same way.. to help you overcome physical barriers to feeling confident. The idea behind the break free campaign is simple, tell women that they look good! I'm all for this type of sisterhood positivity and Jessica started a chain on YouTube that you can see and join for yourself here! You can pick them up from Boots starting from £69, what do you think to Braun face concept? I really like that you can have both cleansing and hair removal in one product. *sponsored post with Braun, all opinions and large pores my own! So unique, love that you can take it into the shower. This looks intriguing and your skin is beautiful! This sounds amazing, two-in-ones are always the best!